During the Summer of 1936, the Olympics game took place in Berlin, Germany. They had been scheduled in 1931, two years before Adolf Hitler was nominated Chancellor of Germany. This was the perfect opportunity for the Nazis to give the world a respectable image of themselves, whilst putting up front their vision of a "superior race". An "Axis" agreement between Imperial Japan, Italy and Germany was put in place during the year 1936 giving the opportunity for Hitler to realize one of his first coup by annexing Austria, his birth place, to the Third Reich, premise of World War II. Hitler's party had solidified its power and any means of propaganda was put up front. Golf had been in the 1900 & 1904 Olympic program before being taken out. In 1936, it wasn't a national sport in Germany. 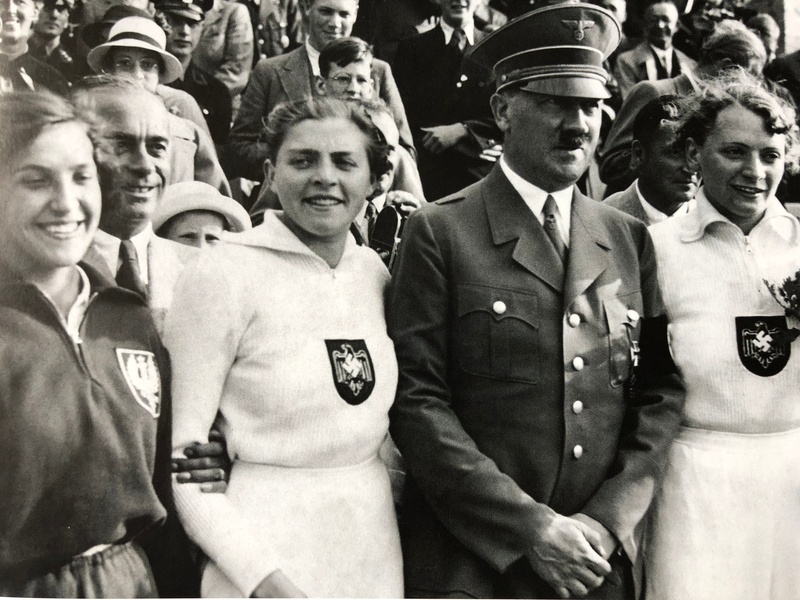 Even though Hitler had never swung a club, Joseph Goebbels, his Third Reich Propaganda Minister was convinced that all sports were useful to the advocacy of Germany. Hitler agreed as he was keen to use all sports for propagandist gain. To do so, the so-called "Golf Führer", Karl Henkell, president of the German Golf Union was to be convinced to conceive a golf tournament to start just 10 days after the Olympic Games of Berlin. Named the "Grosser Golfpries Der Nationen" (Golf Prize of Nations) – at Baden Baden Golf Club, Karl Henkell set it up in the "spirit of frienship and sportsmanship"! It would feature two man teams in four rounds of stroke-play competition, with tallies from both players counting toward the final score. Invitations were sent to 36 countries, but the majority declined the offer. We were still three years away from WWII and the invasion of Poland the 1st September 1939, but alarming stories had been seeping out of Germany, such as but not limited to the fact that German Golf Country Clubs were already expelling Jews! 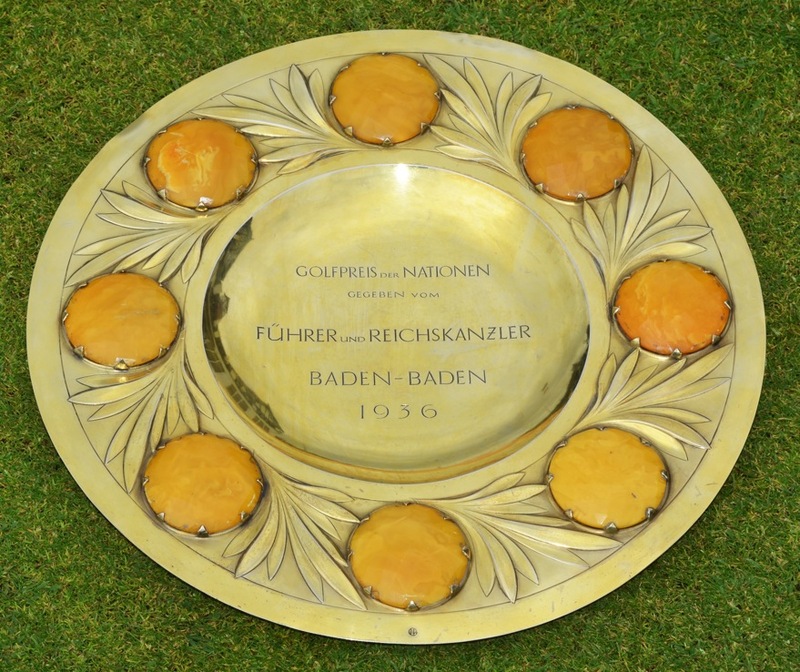 Finally six countries agreed to take part in the Golf Prize of Nations: France, England, Italy, Czechoslovakia, Hungary and Netherlands the 26th of August 1936 at the Baden-Baden golf resort, a short and hilly course. The tournament was of course broadcasted by the Third Reich Propaganda Minister, Joseph Goebbels on the radio, and its first two rounds gave a surprising midway score! Germany held a five-stroke lead over their direct opponent England! The following morning, Arnold Bentley (Hesketh Golf Club member) and Tommy Thirsk representing England cut into that margin, but going into the final 18, Leonard von Beckerath and C.A. Helmers of Germany remained up by three. Finally, Thirsk and Bentley finished on top , four shots ahead of France, Germany will finally back to third place. The Trophy commissioned by Hitler, was a silver and gilt saver, ornamented with eight amber discs. It was brought back to England and became the property of the EGU "English Golf Union" and today, after bidding that went up to 15,000 pounds (approximately 20,000 $) both by Hesketh Clubhouse (England) and oh surprise the "German Golf Archive" it's encased at Hesketh Golf Club, founded in 1865. 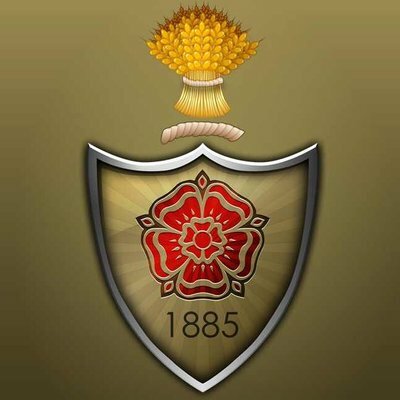 Hesketh Golf Club in addition to being a previous qualifying venue when The Open was played at nearby Royal Birkdale has hosted many other professional and amateur championships. Last but not least, it is said that along with the trophy and two gold medals, both Arnold Bentley and Tommy Thirsk were presented with another unusual prize – a small fir tree that was planted at the Hesketh Golf Club. Nicknamed the "Hitler Tree", during WWII, club members used it as an outdoor urinal per "The Annals of the Hesketh Golf Club 1885-2000 written by Harry Foster.